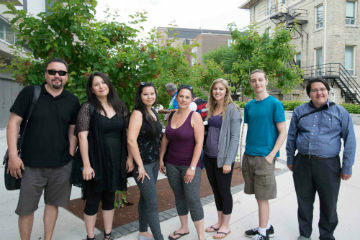 The Indigenous Summer Scholars Program is a partnership between UWinnipeg Indigenous Affairs and the Faculty of Graduate Studies. Indigenous senior undergraduate students and recent graduates of undergraduate programs are invited to explore the possibilities of graduate studies. The program has two components. For the first two weeks, students participate in a series of workshops. For the following eight weeks, students work as members of research teams, under the supervision of a UW faculty member. Students are awarded $5,000 for their work over the ten weeks.